We are Proud to be distributors of the Vision Plus products. Vision Plus's founding product - the Status Omni-Directional Antenna – became an instant success and is specified as standard equipment on the countries finest Caravans, Boats and Motor Homes. 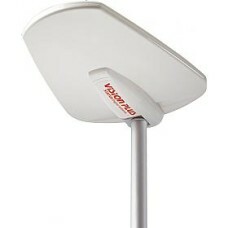 Vision Plus's latest model – the Status Directional Antenna – has already established a reputation as the most powerful antenna designed for mobile use. Today under the Vision Plus trademark, they manufacture and distribute a range of television antennas and associated products to the Caravan, Motor Home and Marine market with an extensive number of retail outlets in the UK and exclusive distributors overseas. In line with their plans for expansion they are further increasing their product range to fully utilise their route to market capabilities by introducing new and interesting products which are both diverse yet complementary to the Caravan, Boat and Motor Home market. Quality is core to their philosophy and paramount in their goal to continually improve their products, service and position in the market. STATUS 570 Directional Digital TV & FM DAB Radio Antenna System For more than 10 years the ..